I have never felt hungry, that is probably whyIcould never appreciate the value of food,i have never faced the dearth of bread and that is probably why I could never understand a farmers significance. 641402514 or approximately 64 crore people are dependent on agriculture in India, who in winters chill or summer’s heat, work tirelessly so that we can eat. But we fail to understand the story behind their pain and sorrow. They are the only beings in our economy who buy everything at retail, sell everything at wholesale, and ultimately suffer both ways. “Don’t stick your head above the wall,” Custard said. “I’ve had enough.” She was wearing a pink halter neck top, a short mini-skirt and had tried to style her hair, with limited success. “I’m not here. She’ll get fed up soon. She never sticks at anything.” Custard said. But Janet, Custard’s mother, didn’t stop calling and I wondered just how long I could endure the stink of the drains and the slightly sour smell of Custard’s unwashed body. We were a bit too close for comfort. “The Offering to Asclepius” by Pierre Narcisse Guerin (1803). “Gentle Asclepius, that craftsman of new health for weary limbs and banisher of pain, the godlike healer of all mortal sickness”. Asclepius (Roman equivalent: Aesculapius) was the son of Apollo and a mortal woman named Coronis. While Coronis was with Apollo, she became enamoured with Ischys, an Arcadian, and Apollo was informed of this by a raven, which he had set to watch her, or, according to Pindar, by his own prophetic powers. 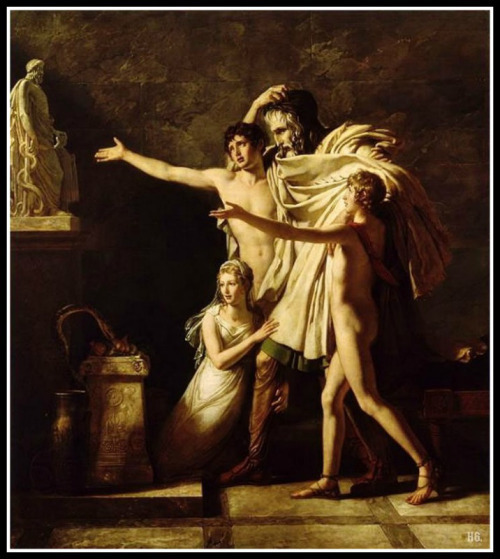 Apollo sent his own sister, Artemis to kill Coronis. Presumably, Artemis destroyed Coronis in her own house at Lacereia in Thessaly. According to Ovid, it was Apollo himself who killed Coronis and Ischys. The following article is composed of two sections, each one of them including murals from Argentina and Canada, respectively. This post aims to analyze with a with a free, but still judiciously, well-founded criteria how certain mythological greek themes and characters might be recurrent, despite time and even against it. #Monday April 17 2017 I read this interesting article (about this man that is paying big money to have his head be plugged unto a younger body of someone else once his body gets older. This technology is old as shown on this video. But there are several questions that need to be asked about this. As we all know, we all have 7 chakras…So if he would only have his 3rd eye chakra, his crown, and his throat chakra, what about all the ones below? Would he then not have a heart chakra? Or will he have the other man’s heart chakra? This is an extremely interesting topic because whoever studies the metaphysics has heard that the heart IS the first brain where all our memories and experiance are stored.